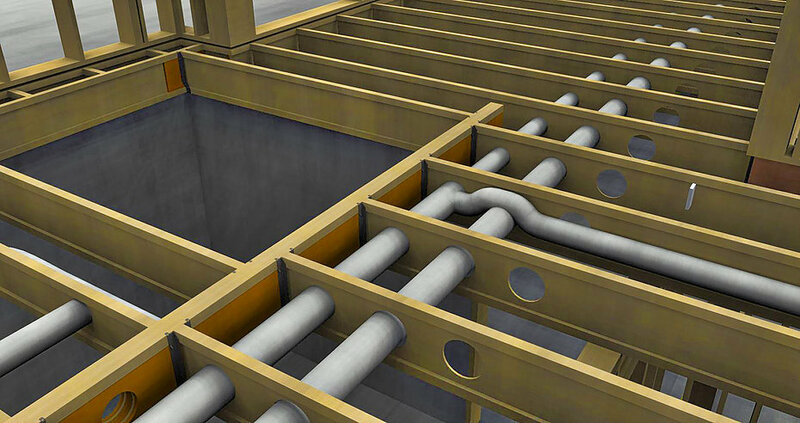 Norwegian house builder Jadarhus is happy with Vertex BD’s new IFC format, importing IFC reference geometry into the Vertex model. It makes any unforeseen problems easy to recognize and eliminate. Jadarhus Group, the fastest growing regional house builder in south-west Norway, construct around 200 housing units every year. High quality and careful, accurate planning processes are of utmost importance in Jadarhus’s diverse projects, which include apartments, terraced houses and detached houses. The company also carries out renovation work on existing buildings on behalf of private home owners, corporate entities and housing cooperatives. Industry Foundation Classes (IFC) format, an open interchangeable fi le format that is applicable for Vertex BD, has turned out to be a good tool in challenging projects that involve many different companies and products. Jadarhus has actively been using this method for two recent detached house projects. They are happy with the results. In both houses, originally drawn by renowned architect Tommie Wilhelmsen, the roof structure proved to be challenging for traditional materials. Special truss beams were thus made by an external party that was not using a Vertex product. – A lot of beams were made into the trusses and it was essential to know exactly where loads were located. The framing for the houses was designed at the same time as the trusses, explains Ole Petter Sandve, Sales Consultant at Jadarhus. 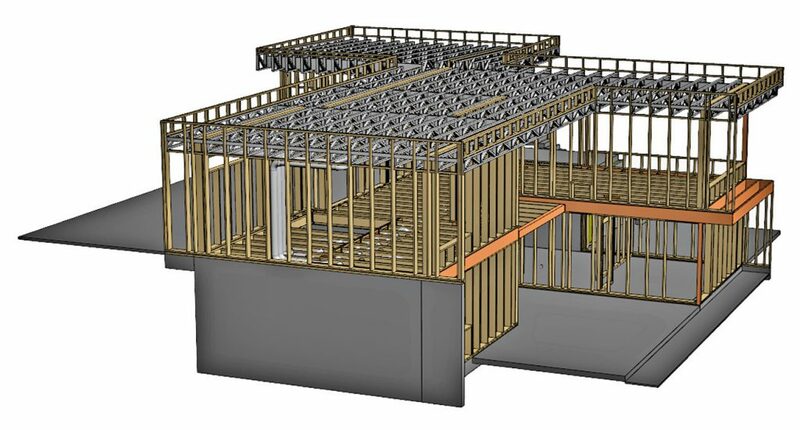 The framing layout with the imported IFC truss model played an important role in successful projects. A separate IFC model of the ventilation, also from a 3rd party, was also imported into the Vertex BD model during the framing process. Potential problems were identified early and quickly. These problems were reported and project modifications were made early in the design process, saving costs at the construction site. Completed floor structure and first draft of ventilation IFC model. Note that holes for ventilation have been moved. Changes to ventilation were reported back to the party responsible. Vertex BD, in general, also gets good assessment from Sandve. 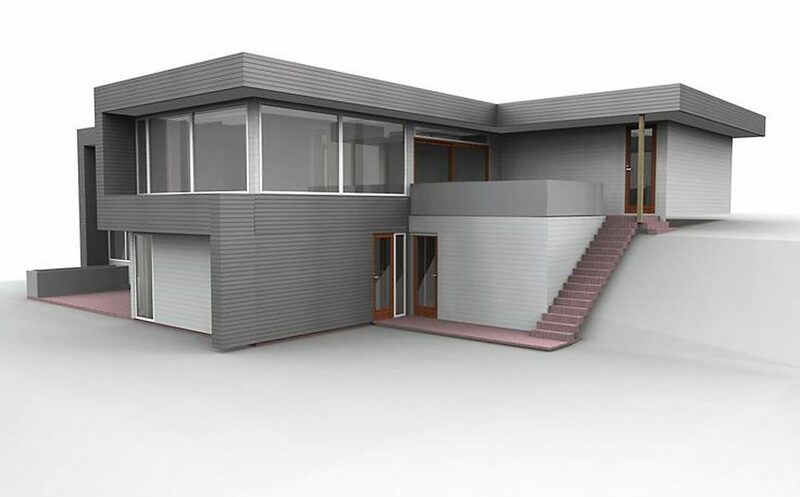 – We use the PDF module to send 3D models to our customers. It´s easier to get a customer’s interest when they can see the model, not only a drawing. This is clearly a competitive advantage for us. Energy-efficiency is an important focus for Jadarhus. Since 1996, when the company started to operate, it has continuously tried out new construction methods and ever more efficient energy solutions. The goal has always been to build even better, more attractive and more energy-efficient homes at a price affordable to most people. Jadarhus designed and built its first low- energy home as early as 2003, in cooperation with Husbanken and Norsk Byggforsk. It was the Nordic region’s fi rst Active House, a good start for company´s Isobo concept. In 2010 Jadarhus developed and built ISOBO Aktiv, a completely new type of extra-energy- efficient home. ISOBO Aktiv, situated at Sandved, is one of the most energy-efficient homes in Norway and in certain periods it generates more energy than it consumes.